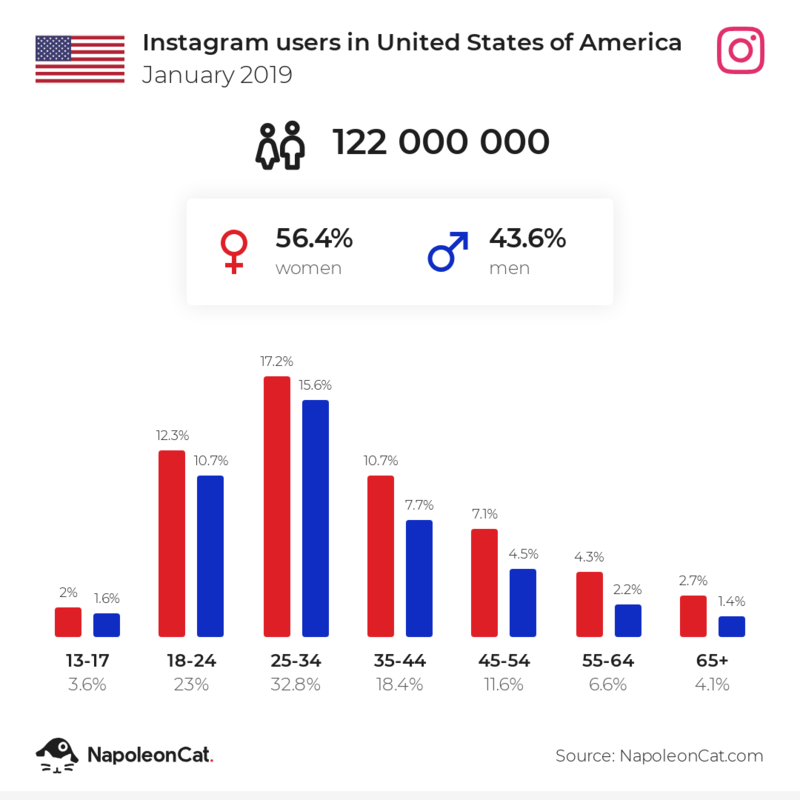 There were 122 000 000 Instagram users in United States of America in January 2019, which accounted for 37.1% of its entire population. The majority of them were women - 56.4%. The highest difference between men and women occurs within people aged 35 to 44, where women lead by 3 600 000.